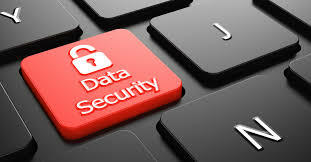 The Vermont Departent of Environmental Conservation says the following about data safety: DATA SECURITY: Are you worried about leaving data on your computer when recycling it? It’s up to you to remove any sensitive data from your computer before taking it to an E-Cycles collection location. For more details about E-Waste recycling from VT DEC, click here. All electronic waste (e-waste) is banned from Vermont landfills and incinerators. E-waste includes computers, TVs, and computer peripherals such as keyboards and monitors. In 2011, Vermont joined 24 other states in addressing the growing challenges of disposing of such waste by requiring manufacturers that sell electronic devices in VT to cover the costs of recycling them. As a result, there is no disposal fee to Vermont residents, small businesses, schools, and charities for disposal of covered devices at state certified permanent collection sites. CVSWMD residents can take e-waste at our Additional Recyclables Collection Center in Barre. (Click here for hours and directions). To find the e-waste collector nearest you, please refer to the State of Vermont's list of registered e-waste collection sites and general e-waste information. For all in-district residents, we accept cell phones for recycling here in our office (137 Barre Street, Montpelier) and our facility, the ARCC, at 540 N. Main St. in Barre. All batteries can be recycled at our facility, the ARCC at 540 N. Main St. in Barre. They can also be recycled at MANY locations statewide since the Vermont Primary Battery Recycling Law passed in January, 2016. Click here for all the details.